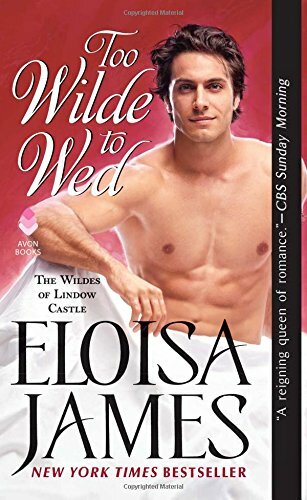 At the end of Wilde in Love, first novel in this series, the story concludes with Alaric Wilde’s older brother North, the duke-to-be now that brother Horatius has died, being jilted by fiancée Diana at their betrothal party. Subsequently, North buys a commission in the army being sent to the rebelling colonies, and before leaving, learns Diana has a child quite obviously not his. And now, the rest of that story . . . When North returns to his family home from his sojourn in the colonies, he discovers Diana has been employed by his family as governess to half-sister Artemisia, with the child he believes hers in tow. He also learns the entire kingdom thinks he forced himself on Diana and that is why she broke their betrothal. That’s soon put to rights when one after the other, family members announce they’re well aware young Godffrey isn’t North’s son. The child is actually Diana’s nephew, son of her sister Rose who very graciously agreed to marry the man courting Diana because Diana didn’t want him. Unfortunately for Rose, the fiancé died in a carriage accident before they could wed, and Diana’s mother subsequently refused to acknowledge her grandson. When Diana claimed him, she, as well as his deceased sister, were disowned. Hence, employment at Lindow was a godsend since the Wildes are not going to allow the woman one of their sons loves to starve. Of course, Diana can’t continue as the Wilde governess, and the obvious thing is for her to marry North, clear his reputation with the world at large, and live happily ever after. North’s still madly in love with her and even moreso as he realizes she’s not the perfect girl he met at a ball. Since he masqueraded as a fop because he thought that would win her affection, he now wants her to see the real North who is nothing like that affected dandy. Diana is the one throwing a spanner into his plans. She feels she misled him by allowing her mother to make her into perfect duchess-material. As the two work at cross-purposes, admitting they were both more or less in disguise, adhering to a certain image instead of their real selves, they fall genuinely in love. Since Diana doesn’t want to be a duchess, she still refuses to marry North, and North admit he loves her too much to force her into that role. Besides, he doesn’t really want to be a duke. In fact, it seems none of the adult males in his family want the title. The solution is obviously staring them in the face, but each is so involved in trying to figure out an answer, neither can see it. The main theme of the story, two people in love who can’t come to some kind of agreement, soon becomes a bit tedious—a Much Ado About Nothing, as it were—resulting in their arguments simply going around and around, like a whirlpool, disappearing momentarily into descriptively passionate scenes, only to tiresomely resurface with nothing resolved. Where North was an object of near-ridicule in the previous novel, mainly through his near-dandified fashion sense, now, he’s a changed man, haunted by the deaths of his men in war, learning there’s more to life than merely running an estate. A great opportunity is missed in not following up on this facet, which would’ve added some variety, as well as more depth, to the story. Working in a confrontation with Diana’s mother, instead of having it related by a character, could also have afforded some defining drama. There’s still much mention of deceased brother Horatius, to the point where the reader may wonder if that particular Wilde sibling is actually dead or merely lying in wait somewhere to reappear in a novel of his own. Like Wilde in Love, Too Wilde to Wed is a lovely romance with the typical verbal ripostes and spritely repartée for which the author is famous. In spite of its lack of a challenging plot, its colorful characterizations, witty dialogue, and some very passionate love scenes carry the story quite well.